Law is a set of standards, procedures and principles that governs the external behaviour of human beings. Justice is a concept based on equality, righteousness, ethics, morality, etc. The Conference aims to promote exchange of knowledge and views of Educationalist, Jurists, Practicing Professionals, Social Activists, and individuals in are of their interest & relating to social justice and social change. 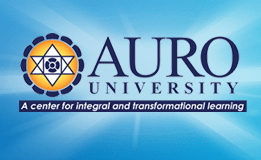 Participants can pay reg fees by DD/Cheque favoring AURO University, Surat.